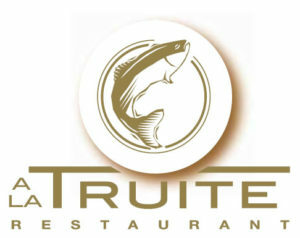 The «A la Truite» Restaurant will be happy to welcome you to its premises before or during your trip. In Illhaeusern, a friendly family atmosphere and traditional Alsatian cuisine await your group. The “matelote” (a local freshwater fish dish for which they received a gold medal in 2015), carp and chips and other meat and fish dishes are just some of the specialities which will delight your taste buds. It should be noted that, thanks to our close business ties with the restaurant, it is also possible to order menus suitable for vegetarians and vegans. 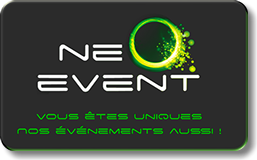 Neo event, specialised in «a la carte» events management, is involved in the organisation of our barbecues (see group packages). It can adapt to a wide variety of requests. Wines from the Saint-Hippolyte vineyards (at the foot of Haut-Koenigsburg). Our trusted local partner for your group packages. DAUGER Bakery, with its 2 establishments in Sélestat and Orschwiller, can meet any demand for bread, Viennese pastries and sandwiches on request (suppliers of the «Fresh Croissants» option). he Canoës du Ried nautical base is a 600 m walk from Sélestat’s old town. Sélestat, a dynamic town with traditional Alsatian architecture, is one of our privileged partners. 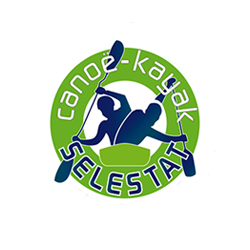 The CAKCIS is Sélestat’s canoe and kayak club and one of our privileged partners. Through its teaching and practice of canoeing and kayaking, the CAKCIS is highly competent to monitor the Canoës du Ried’s trips. Prepare your trip to Sélestat and its surrounding area. Organise your trip to Colmar and its surrounding area. Prepare your trip to Strasbourg and its surrounding area. All the information you need to help you discover an authentic Central Alsace. Part of the local associative network. The Canöes du Ried, by way of its partnership with the club, proposes training courses to prepare your four-legged friend for the holidays, and to get it used to navigating.